Mt. 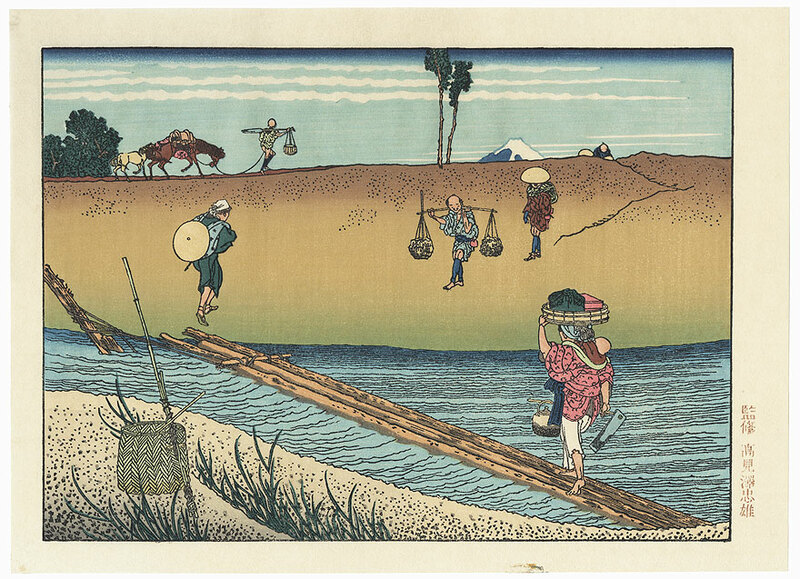 Fuji over the Bank - A woman carrying a tub on her head and a child on her back crosses a narrow log bridge over a river. Other travelers make their way up and down the sandy bank. Just the tip of Mt. 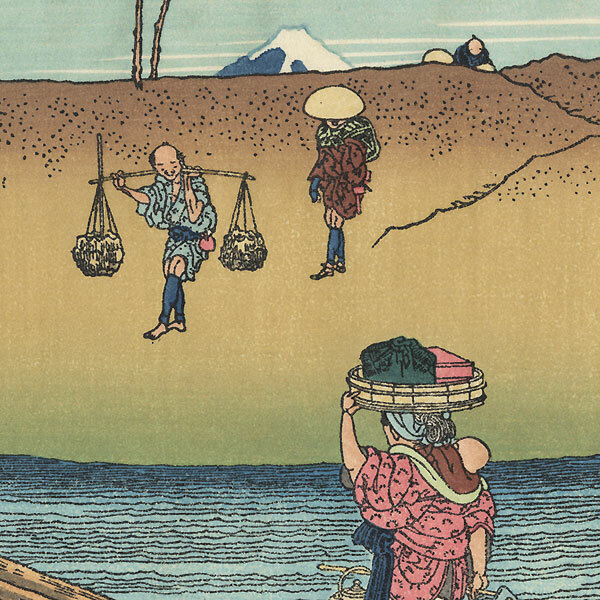 Fuji is visible along the horizon. 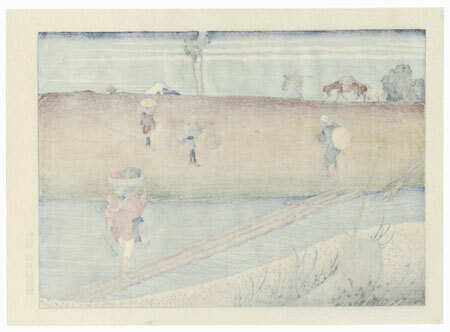 An unusual perspective, beautifully detailed with fine line work and handsome color.